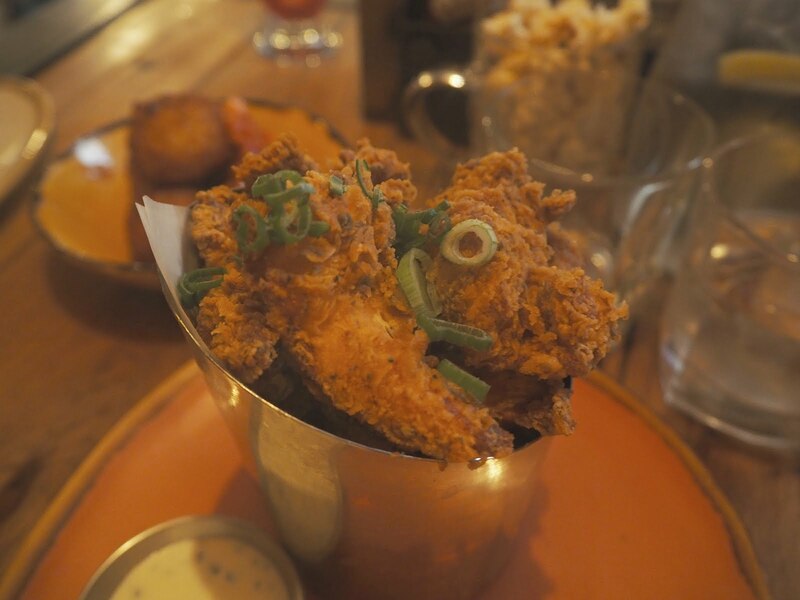 The other week I was invited down to The Pit in Leeds to try out their new menu. I have eaten here a couple of times before but I was excited to try the new menu. I’m going to level with you, I’ve sat down to rite this review having just had my tea at home. This is proving to be a real struggle as the look of food is making me feel so full right now. Here goes.. I tried to get the best pictures I could but as the restaurant is called ‘The Pit’ a lot of the images came out too dark or blurry. I’m sure you get the idea though. We went for a non-alcoholic cocktail which was really refreshing. We decided to share two starters. We went for the Cajun chicken bites (£5.50) which came with a garlic and herb dip. The chicken in these was really succulent, so often with small portions of chicken you can find it to be quite dry but it wasn’t the case here. 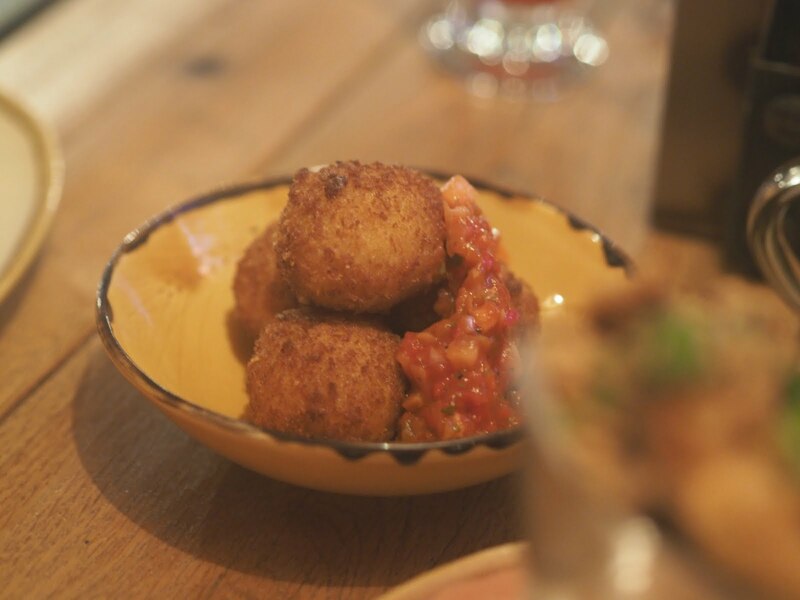 We also decided to try the Mac ‘n’ Cheese Balls (£4.95) – these weren’t the best ones I’ve had but they were pretty tasty. Be warned they fill you up really quick; be sure to leave room for your main meal. 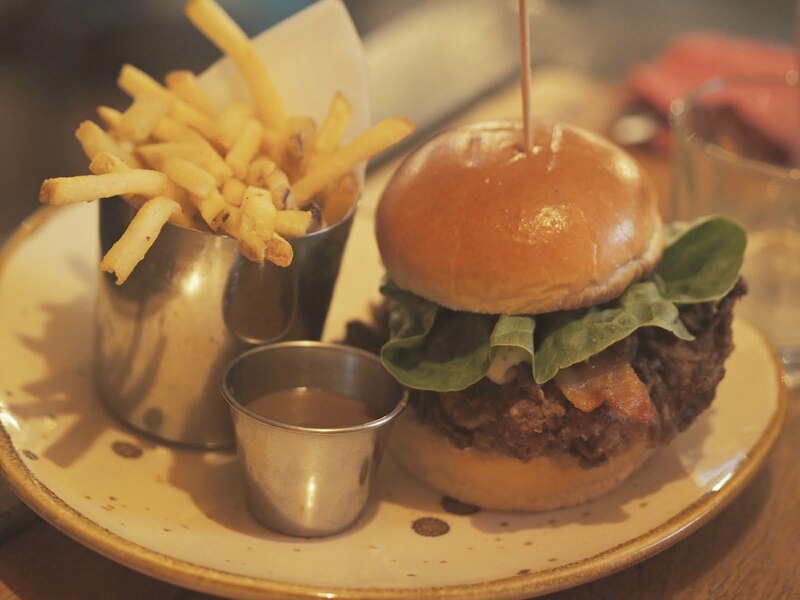 Rory went for the Crispy Cajun Chicken burger for his main meal while I had the vegetarian Enchilada. The burger itself was pretty huge, normally we would of probably just had the main meal but we had to try other things on the menu. Verdict on the burger was a big thumbs up. The chicken was succulent (just like the starter) and it meant we didn’t need to eat again the rest of the day. My vegetarian enchilada was super tasty, it didn’t photograph very well (I blame the cheese) but I’d recommend going for the enchilada if you want some real comfort food. Make sure you keep checking back on my Restaurant & Bars Map – you might your next place to eat in the Yorkshire area. Oh lord, I'm on a diet and I'm currently licking my lips getting excited for the next time I can eat a burger. 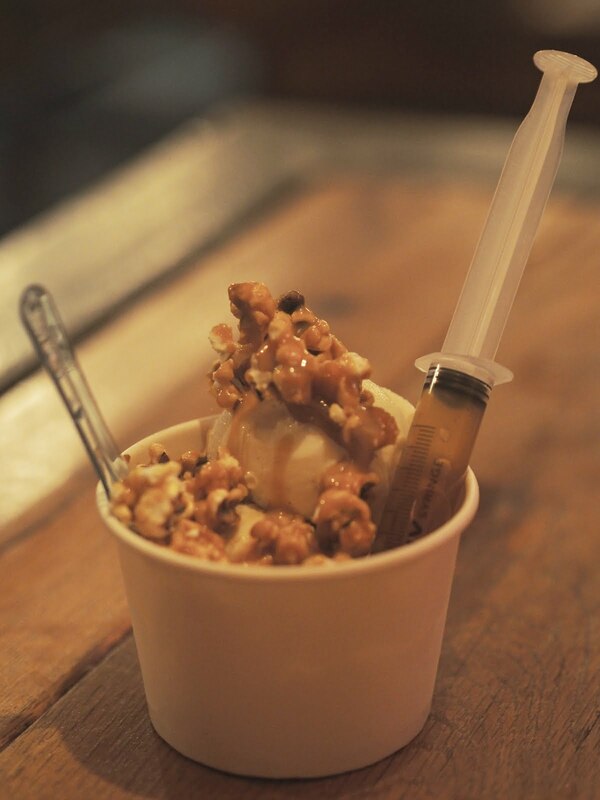 Everything looks and sounds delicious, plus that desert is rather amusing with the syringe!